I couldn’t answer the twitter responses in 140 chars so here’s a more detailed, and I hope, understandable explanation. Consumer Internet device success continues to hinge on applications. It’s the reason that AppUp exists, that Nokia will invest 10m into developer incentives in the US, why Samsung is throwing money to Bada developers and why Chrome OS will have a web app store. It brings critical ‘value-add’ to a product for customers, incentivises (is that a word? )developers and provides revenue opportunities for operators. It really is a killer application and only one vendor has got it right in this space so far. While the hardware and design for most consumer internet devices [as I write, this mostly means tablets] is the same and one could argue that there are, from a visual and usage-case perspective, many choices, only one device has the application ecosystem that gives it the ‘value-add’.’ There isn’t another stack of silicon, hardware, operating system and services that provides this and there won’t be until well into 2011. Android is a fantastic alternative *opportunity* of course but having done more testing than most on large-format Android devices, (I cast a glance over to the Toshiba AC100) I can see that current applications are still focused on the small screen. There aren’t any compulsive large screen games, video creation, music creation or even productivity apps feeding through that consider the larger form factor, longer battery life and often, more powerful CPU and GPU of a consumer internet device. Why should there be? Android V2.x doesn’t provide the hooks for large-screen app development and Google limits the use of their Market to phones (and large phones.) I also think that AppUp is a good opportunity. There are now 1000 apps in the store that are written with a larger screen and CPU in mind. Most are monetised and there’s potential for much more to happen on MeeGo (not forgetting Ovi) during 2011 but right now, can anyone name me a ‘complete product’, from silicon, through design, operating system and applications ecosystem, that offers the same as the iPad? We used to jokingly call the iPad a large iPhone but the application store has given it differentiation. In the Android world, that differentiation option hasn’t even been enabled yet. Android tablets with the application store really are large phones and until Android is enhanced and Google widens the doors to the market (and possibly creates a large-format application suite) the solution has a limited future and doesn’t offer an alternative to the iPad. There’s one other point I want to make. If you’re looking for an alternative to the iPad, there isn’t one. If you’re looking for a different product that looks the same then there are some choices out there. Unfortunately, in this consumer internet device/tablet market, I don’t see many people defining their requirements before choosing a solution. I see the product desire growing through application desire (and style, of course) and not connectors and micro-sd card slots. That’s just my opinion so feel free to ramble and rant below! We might give vendors something to think about in their next product planning meeting! Update: I always encourage thought about personal requirements. This ‘chooser’ tool i’m working on (currently in Alpha) shows 4 leading tablet devices and allows you to set your requirements and see a ‘winner’ based on public ratings. It’s not a foolproof way to choose a device but it’s a good way to start thinking about requirements. Ipad, Galaxy Tab, Viewpad 7 and Dell Streak Chooser Tool. 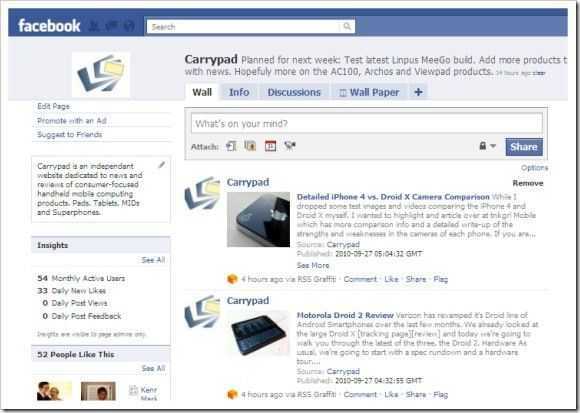 This might seem obvious but we think that many of our readers are looking for a similar product – a consumer handheld internet device, which kinda makes sense because that’s all we cover here at Carrypad! We wanted to simplify the decision process and short-cut some of the fuss and hype that goes on around the tablet space so we’ve come up with a checklist for you. It’s focused at the consumer tablet but much of this applies to slider and clamshell designs too. Bookmark this article and when you see a product you like, take a quick look at this list to see if it fits the mould for an enjoyable, usable, flexible, quality handheld internet product. Don’t panic! As I return from my summer holiday (where I went with my car and returned without it â€“ another story) I feel the need to catch up quickly on what’s really been happening during the second-half of July. Again, don’t panic because if you’re on holiday yourself, it’s a quiet period and the marketing and sales teams won’t ramp-up activities until mid August. After sifting through a ton of iPhone 4 antenna stories (which resulted in some of the most boring podcast segments I have ever listened to in my life!) I’ve managed to pull a few interesting tidbits out for you. Lets go over those stories briefly and then start thinking about Q4 and the events and trade-shows that will lead up to it. This Autumn could be the busiest ever for UMPCPortal and Carrypad. Overall it seems that everything is on hold right now. On the last MeetMobility podcast we talked about a frozen netbook market as the new dual-core and DDR3 netbook platforms filter in. One wonders whether that really means the end of the basic netbook as cpu-core and graphics specifications turn that simple market into a race for cheap, blinged-up notebooks. The same freeze is in progress with the MID, tablet and ultra mobile PC market too. The Dell Streak is going to look rather out-dated in the next round as dual-core ARM CPUs start to filter-in and if Android 3.0 launches and opens the door to new markets, different form factors and productivity applications we’ll finally see some smart and productive products. In the ultra mobile PC space the Oaktrail and Moorestown platforms have made ‘Menlow’ look rather dated. In the X86 operating system world, Android and MeeGo are still months, if not years from being mature and as we look from every angle; from the netbook market, the ultra mobile PC market, the MID market and tablet market we see the product that scares the living daylights out of every OED, the iPad. The momentum there has been simply stunning and there’s no logical way to analyze it. It’s hype, marketing, magic and fan-base that have punched through any amount of negativity to create something that people simply want. Stunning. One of the products that I’m quite interested in is the Huawei S7. It’s a modern and possibly winning take on the 7 inch slate space with battery life, applications, social and fun right at its heart. OK it hasn’t got the super-slick look of the iPad but it’s one of the most complete 7 inch Android tablets i’ve seen so far. How disappointing it was to see the availability date slip right out into September. That’s a big slip and one wonders what Huawei are doing there. Did they give exclusivity to a carrier? Are they re-building the OS (Android 2.2 would be nice) or did they decide to swap out the resistive screen for capacitive? That would make sense. Unfortunately I think it’s none of the above and we’re just seeing the realities of launching a complete device into the market. 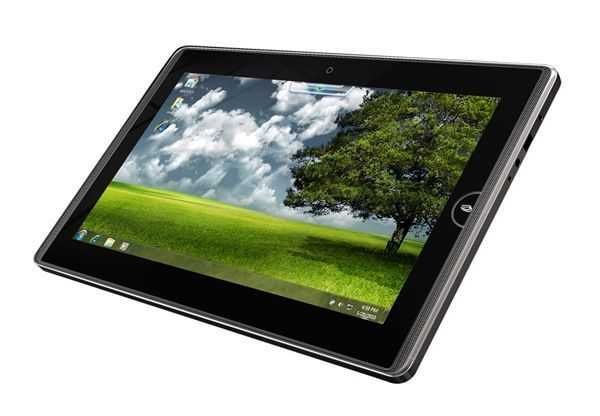 A product the might look similar to the S7 but could bring a productivity slant is the RIM Blackpad. 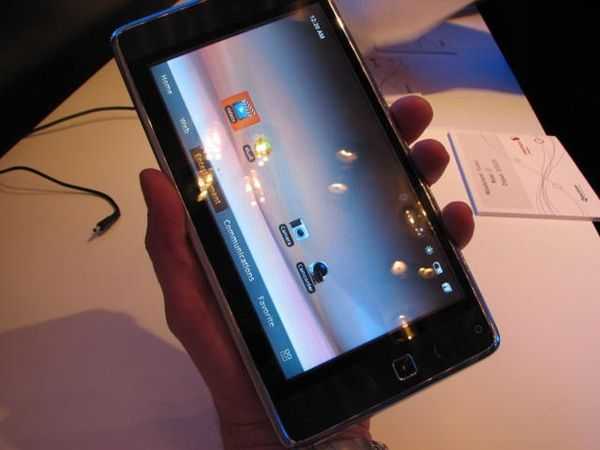 This is RIMs rumored 9.7 inch Blackberry companion tablet. The rumor sources say it will be launched in November but I’d ignore an iPad-like or iPad-killer references. This is likely to build on RIMs core competence of secure delivery of email and messaging and I’d expect to see it with some form of keyboard to tie in with the productivity theme. 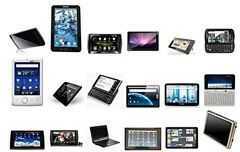 The third piece of tablet hardware news I want to mention is something we haven’t really covered much on the sites. It’s Samsungs tablet which now looks like it will be consumer focused, running Android and will be built around a 7 inch screen. Samsung are the source of the news and they’re also talking about Q3, which is now! Samsung have made some great mobile computing products in the past and I highly rate their electronic engineering skills. They have the ability to build around their own ARM-based CPU too so everything is likely to be very efficient and small. Maybe I’ll drop my Huawei order in favor of this one. It will be fun to compare it to their 2006, 7 inch UMPC, the Q1. I’m expecting it to launch at IFA in September in Berlin. I’ll be there! In part 2 (available here) I talk about why I can legally call a device a Smartbook product when I live just 20km from the Smartbook HQ that has exclusive rights to the name in Germany, a few Mifi competitors and even more tablets. I’ll also highlight the very exciting month of September. IFA, IDF and other events will prepare us for everything that’s going to happen in Q4. All the stories highlighted in this article appear in the center column on UMPCPortal and in our weekly update article. New FULL RSS FEED! I’ve found a way to give you a full RSS feed. Donate to UMPCPortal and you receive a private URL which gives you access to a full, no advertising RSS feed from UMPCPortal. You’ll also get an (optional) link on the front page and a free copy of the soon-to-be-released Mobile Computing ebook written by Chippy. To donate and receive your full RSS feed, visit this page. Forums are getting busy. 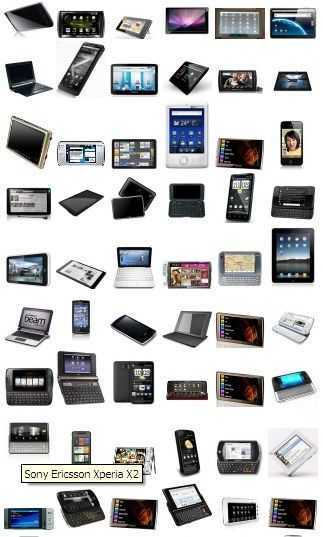 Join-up and meet a great bunch of people who are also interested in mobile computing products. UMPCPortal Forums. MeetMobility Podcast will resume in about 2 weeks time when we’re all back from summer vacation. Expect a live round-table event with JKK, Sascha and a few special guests. Stay tuned to @meetmobility on Twitter for latest announcements. I know there are a lot of designers, manufacturers and resellers that read UMPCPortal so this one is for you. 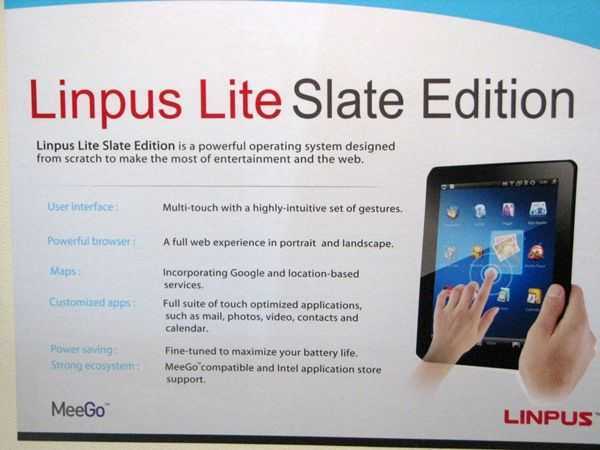 Potential Windows 7 Slate customers should also read this. In fact, as a reviewer, I’m learning from this White Paper too! Windows 7 Engineering Guidance for Slate PCs. Windows for Devices have reproduced an extremely useful white paper by Microsoft that gives detailed information about what Windows 7 can bring to slate PCs (note â€“ Microsoft aren’t using the ‘Tablet PC’ term!) and how designers should think about everything from ergonomics and electronics. Windows 7 is one of the only operating systems that provides the Full Internet Experience with a productivity focus and a touch-enabled user interface. It may not be the sexiest but as of today, nothing can touch it for desktop-style productivity. Battery life should exceed 4 hours under normal operating conditions. Ensure handgrip regions are designed away from heat dispersion and venting. Biometric logon — Consider including a fingerprint reader for improved ease of access for logon and security scenarios. The document is rich with advanced tips and inks and is also a recommended read for anyone considering buying a WIndows 7 ‘slate’. Clearly, with Microsoft pushing Windows 7 into this area, with OakTrail offering a super low-power platform and the general slate/pad/tablet wave of interest we’re seeing at the moment, there will be an increased number of offerings in the late 2010 and 2011 timeframe. 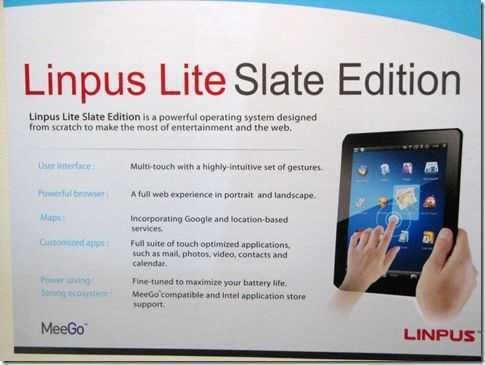 Linpus are working on Linpus Lite Slate Edition and, in-line with Intel Moorestown and Oak Trail-based products, is planned for tablet PC’s of 2011. We took some time to speak to Linpus about Lite and MeeGo too. Linpus Lite appears on Acer Netbooks and is expected to be the distribution that will appear on Acers’s MeeGo netbooks. 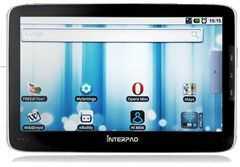 The video was shot just before the Intel keynote in which the MeeGo tablet UI was announced. ZenPad (aka SMiTS, Evigroup Wallet) gets Video Preview. We highlighted last week that the EviGroup Wallet [specifications] would be going into production very soon. It seems that SMiTs is also getting ready to put their design through production for Enso as the ZenPad. 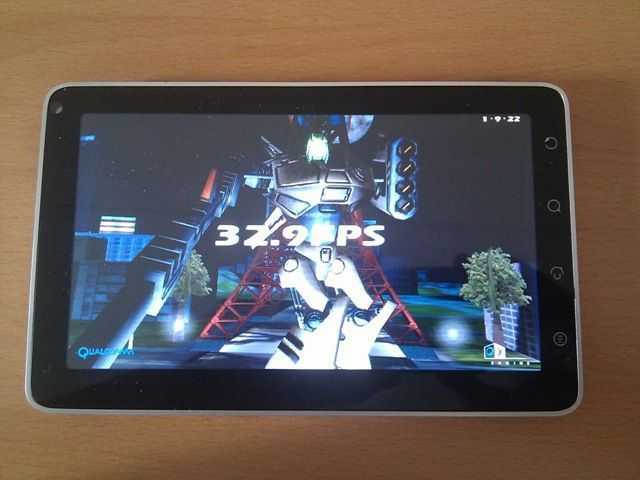 In a post at Chinable, they offer up a preview video (note the Google Maps, Google marketplace, Gtalk apps) and some notes that indicate this is an Android 1.5 build. 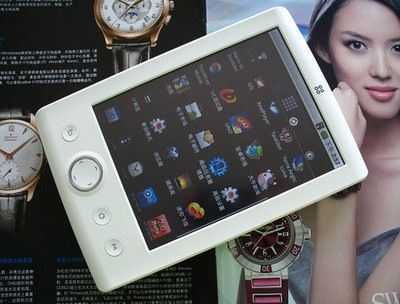 A non-3G version is to be launched first. The price of the ZenPad is $155 (120 Euro) so perhaps, just perhaps, the 199 Euro EviGroup Wallet really does include 3G although it’s more likely that taxes and GPS make up the difference. The comments on the post indicate that the ZenPad is heading to production. So many questions remain open about this device that it’s hard to even try to place it. 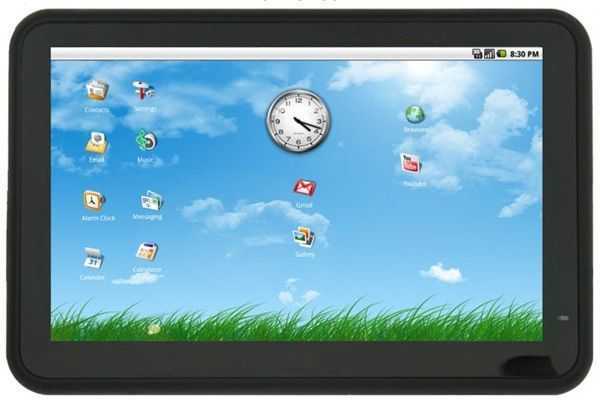 IF it gets the Android market and runs well in 256MB RAM, it could make an interesting alternative to the Archos 5 which doesn’t have the physical buttons (it uses screen space for virtual buttons) and doesn’t run the Google apps well due to limited memory after hacking. Without a capacitive screen or a high-end CPU, this will never be in the same league as something like the Dell Mini 5 but if if does appear, either in ZenPad or Wallet branding with 3G for 199-Euro, it becomes an interesting low-cost mobility option. In a U.S. press release last week (PDF), Archos announced that the Tablet will be available mid-May. retailers. Exclusive pre-orders are available at Amazon.com, with product shipping mid May. Review devices have obviously gone out. Engadget have one for testing and UK newspaper The Independent has its mini review up already. I’m getting the impression that the Archos 7 Home Tablet is going to be a bubble-wrapped tablet hanging on hooks at point of sale. Android 1.5 (really?) is on board and apparently there’s no plan to upgrade the OS. Built-in USB 2.0 helps for attaching accessories and apparently the stereo speakers are good enough for in-crowd use. 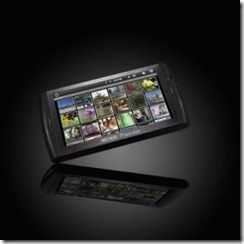 Touchscreen quality sounds just like the Archos 5 â€“ resistive. When it comes to the touch screen browsing don’t expect an iPad-like experience. There is no multi-touch support and the onscreen input often felt slow and unresponsive. There is also no support for Flash. At 149 Euro for the 2GB model, if it provides a acceptable HQ video experience along with ereading, basic web browsing and audio, it’s good value and could make the perfect online Google Reader device but please don’t expect a swift web experience, rich video experience and anything like an iPad UI experience. Via Ndevil , TouchMeMobile and Slashgear.